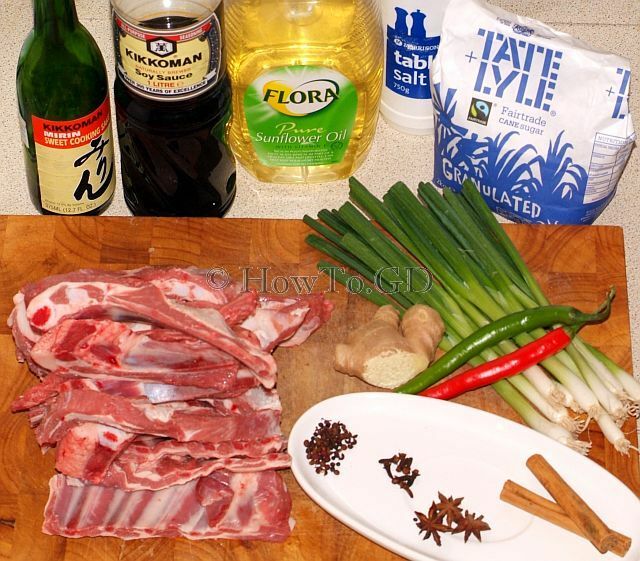 This Badjao lamb ribs recipe is very well known all around China. Badjao lamb ribs are very tender, juicy with crispy crust and unforgettable taste and aroma. In this recipe. 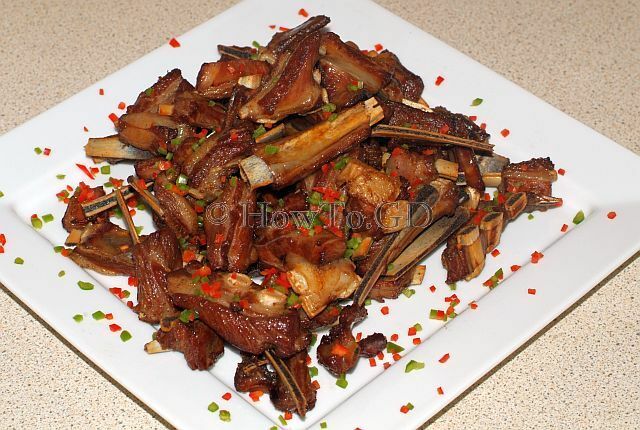 I will show how to cook Badjao lamb ribs. This recipe is very simple and can be performed by novice chef. Another very big advantage of Badjao ribs, is that the last step can be performed after one or two days after the previous steps, which is very crucial for restaurants, or for peoples preparing for a big party at home. This is a perfect main meal, but also can be used as a starter. 1 kg of lamb ribs. Without breast part, just ribs. 2-3 cinnamon sticks. It is possible to use cinnamon bark as well. 3-5 stars of star anise. 1-2 tsp of Sichuan pepper corns. Medium bunch of green onion, or one large onion bulb. 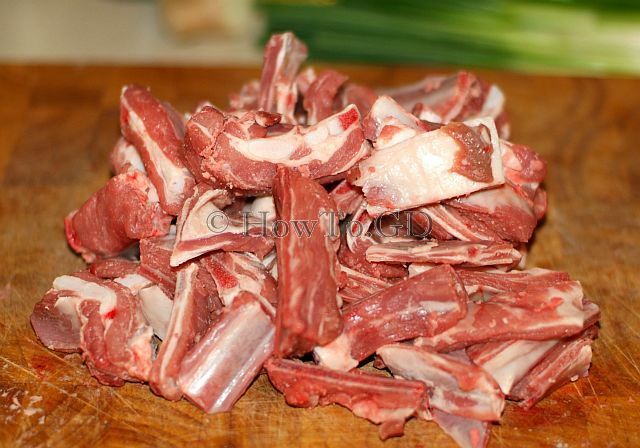 Chop ribs into a 3-4 cm bits with individual rib inside the meat, Remove very large chunks of fat if any. Place ribs into a cold water and bring them to boil. Take cooking pan of the heat, and remove ribs from the water. Do not boil them!!!! Quickly wash ribs from any foam and set them aside. This and previous step is important to remove all dirt from the lamb ribs (butcher saw them and produce plenty of bone dust) and some leftover blood. 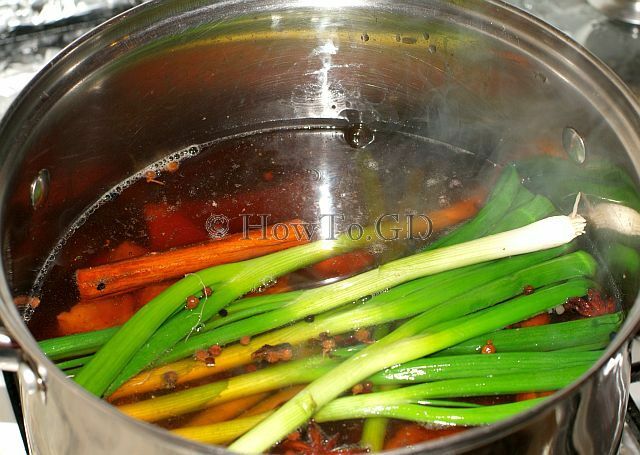 Place all ingredients and spices for stock, except the green onion, into a cold water and bring to boil. Check the salt and ad some if necessary. The taste should be lovely salted. Add ribs and green onion. Bring to boil and simmer. 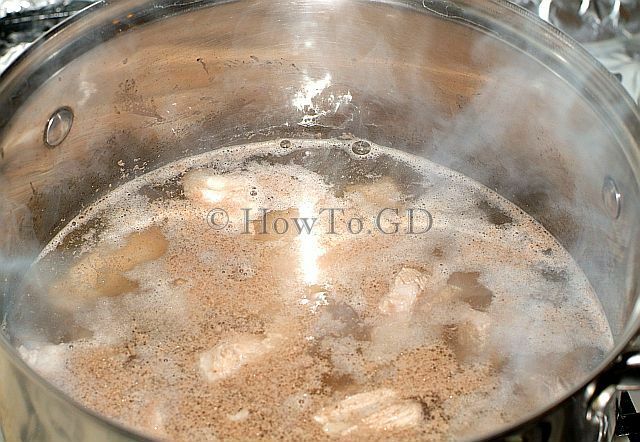 Simmer, until the ribs turns very soft and tender, about 1-1½ hours. 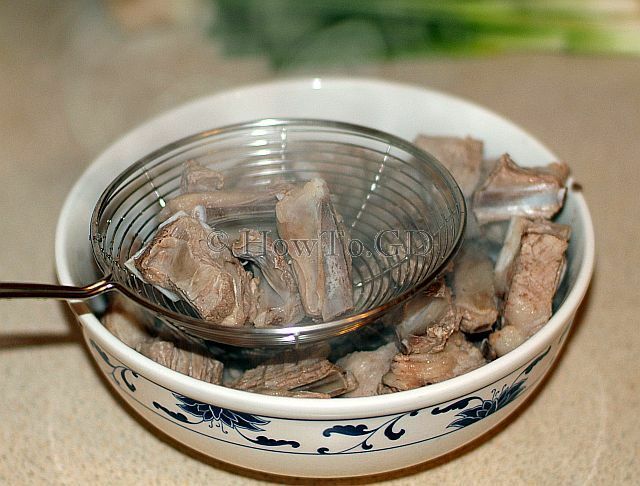 Remove ribs from the stock and prepare everything for the next step. 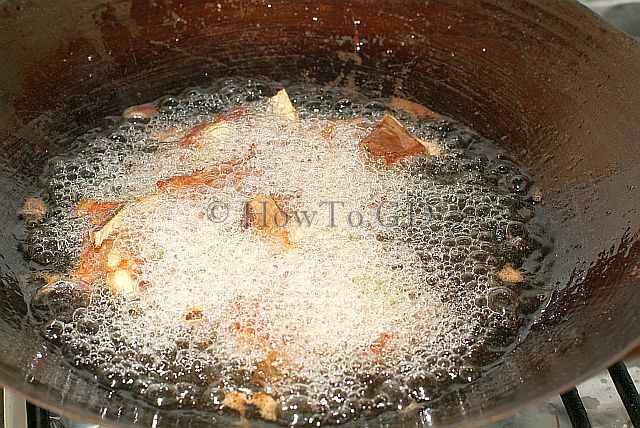 In a large wok or other convenient pan, preheat vegetable oil to a very high temperature – 180° - 190° C.
Add few ribs to oils and quickly fry them, stirring stirring constantly, until they develops crispy crust and turns brown. Remove them from hot oil, and cook next portion of ribs, until everything will be done. Do not cook large portion of ribs at once – if the temperature goes down significantly, the crust will not be developed, but otherwise, ribs will dry out. Place ribs into a large plate and sprinkle them with finely chopped chilli. Boiled ribs can be stored before the final cooking for 1-2 days in the fridge. Stock after lamb ribs cooking, can be chilled, filtered, boiled and friezed for the next cooking. Next time, the amount of spices can be reduced, but after each cooking, this Badjao stock will be more and more tasty. Please be very careful, cooking in hot oil – 180≥g;C boiling oil can be dangerous.